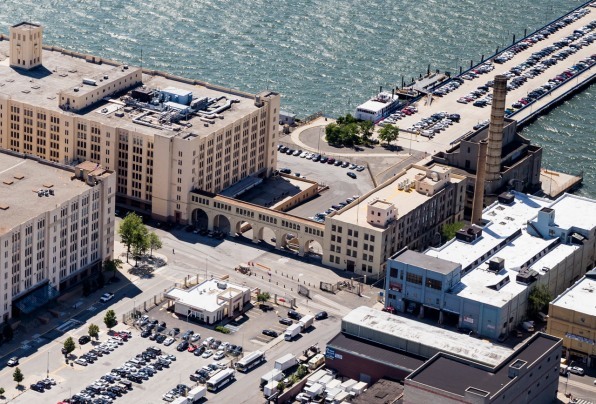 On top of the redeveloped Brooklyn Army Terminal, a solar array will bring collectively owned clean energy to a historically underinvested neighborhood. In the U.S., households that have to devote between 6% to 11% of their annual income to electric bills are considered energy-cost burdened. Their energy costs are high enough to sometimes force them to make trade-offs on food or other necessities to pay their bills. People who are energy-cost burdened are disproportionately people of color living at or below the poverty line. In New York City, for instance, people living below the poverty line of $31,756 have to devote nearly 10% of their income to energy costs. In Sunset Park, a waterfront neighborhood in central Brooklyn, nearly 30% of residents live below the poverty line. The neighborhood has dealt with a history of environmental burdens, particularly due to an expressway that runs above one of its main streets. For residents, high energy costs compound the air quality concerns produced by passing traffic and the presence of three nearby fossil fuel plants. A new initiative, though, is working to bring renewable energy to the neighborhood–and following a cooperative ownership model that’s helped stabilize energy prices in rural America. Across rural America, it’s not uncommon for people to own their energy sources. Over 42 million people throughout 47 states get their energy from electric cooperatives–nonprofits collectively owned and governed by the same people who purchase energy from them. In the U.S., there are around 900 such cooperatives, which first appeared in the 1930s to help people living in far-flung, rural regions gain access to affordable, reliable energy when private utilities were hesitant to expand there, fearing inadequate returns on investment. Through collective ownership and governance of the electric cooperatives, members work to ensure that energy prices remain affordable to people, and that demand across the cooperative’s network is met. For people living in urban areas, it’s a different story. There, energy is most often delivered through monopolistic regional utilities, which are interested in delivering high returns to shareholders, and, lacking competition, have no reason to keep prices affordable. But now, on the roof of the Brooklyn Army Terminal–a decommissioned army building now owned and being redeveloped by the NYC Economic Development Corporation as a local business hub–a partnership between NYCEDC, the nonprofit Solar One, the cooperative financing agency Co-op Power, and the local environmental advocacy group Uprose is creating a, 80,000-square-foot solar garden. Once completed, it will be one of the first examples of a cooperatively owned urban power supply, and potentially a model for other city coalitions to follow when looking for mutually beneficial ways to repurpose public rooftops as communal solar energy sources.“We’re living in a time when we have to make nontraditional partnerships and doing really big things, because climate change and environmental concerns are a huge issue and they’re demanding that we step up,” says Elizabeth Yeampierre, executive director of Uprose and co-chair of the Climate Justice Alliance. 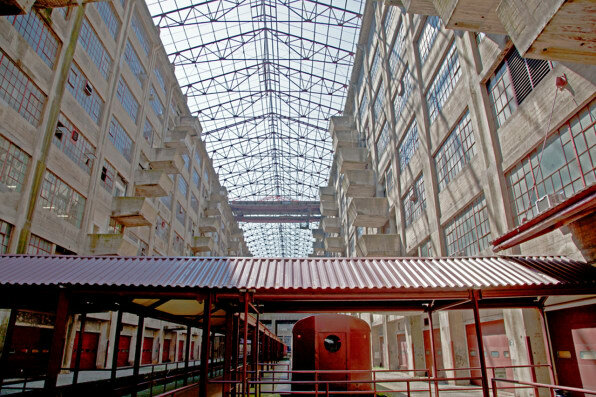 “For a long time in the climate justice movement, we’ve been talking about what community-owned energy looks like, and how we engage government agencies and other partners in operationalizing something like this.”When NYCEDC began looking into repurposing the Army Terminal building several years ago, they had in mind the usual features that developers want to bring to vacant-yet-beautiful industrial spaces: startups, modern manufacturing (it’s now the home of a DIY workshop and fabrication studio), and food companies. But when Yeampierre and others from Uprose, Brooklyn’s oldest Latino community-based organization, met with NYCEDC, they alerted the agency to both the community’s desire for locally owned clean energy and a way to ensure that residents benefit both economically and environmentally from the project.Community solar projects are generally independently financed solar arrays, which local people can subscribe to in order to lower their energy bills. While these projects are springing up around the country, they’re often still owned by utilities or private companies, because financing the solar arrays is costly. But a handful of other projects, like one installed at the University of Maryland, and the Clean Energy Collective’s Mid-Valley Solar Array in Colorado, have installed community solar projects that are actually owned and collectively managed by subscribers. It’s more difficult to do, in large part because solar projects are often most effectively funded by tax credits that have to go to either a homeowner or a commercial entity. 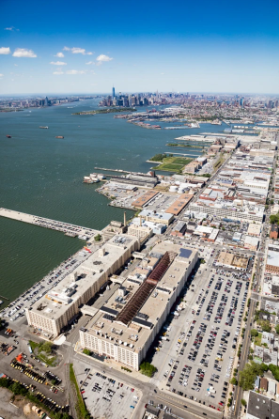 But if done successfully, cooperative community solar projects, because they are ultimately governed by residents, have the most potential to actually achieve the equity aims that Uprose wanted to see in the Army Terminal project.